Our 7th MLA inspection today. Nigel has been trading for over 35 years and continues to be a well organised and efficient locksmith who has been a company member for over 20 years. Continued membership highly recommended. No non compliances noted. Nigel’s knowledge and expertise with locks and related security matters has tremendous depth and breadth. We have thrown a whole variety of projects at Nigel over a number of years including one that was very esoteric and he has dealt with every single project efficiently. Totally trustworthy and always turns up when he says he will – highly recommended. Quick response. Soon to find problem and fix it. Very polite. Fine from every point of view. Fantastic service! Nigel fitted new locks to our doors with keys which could not be cut anywhere else. They therefore had his telephone number and a code on the key. When I lost my keys recently I phoned Nigel to check that he wouldn’t give out any address information if someone called – and he reassured me he would not. That same day Nigel called back to say that someone had found the keys, called him and he passed on their contact details so I now have my keys back. Thank you – excellent service – very happy customer! I always receive a highly professional service that is efficient, timely, great on price and always very friendly. Faulty burglar alarm, Nigel came out especially to fix on Easter Saturday, explained the system in our new house as we had just moved in. On time, fixed the problem with a smile. Will definitely use him again. Nigel was able to do the job very quickly – Very helpful guy. Nice job. Nigel was prompt, professional and easy going. He stuck to his estimate, despite having to spend a lot more time than anticipated, to get the new MPL mechanism to fit. He checked and rechecked the door to ensure it closed easily with no sticking. Highly recommended. Nigel has an excellent knowledge and skill. Very pleased with his work. Highly recommend. Great experience from using Clubb Security. No pressure to upgrade, very honest & trustworthy. Outstanding, 5 stars in my view. What a great Guy compared to other locksmiths in Tunbridge Wells, so efficient. Great service, Nigel got the job done quickly and efficiently! I would recommend Clubb Security to anyone. Nigel went and changed the locks for my elderly mother who has dementia (she lost her bag/keys) and he when that day, did an excellent job. I have always found him trustworthy – I would highly recommend. I would recommend Nigel to everyone he is prompt arriving when he said he would. Efficient and with a vast knowledge of his profession. Anyone looking for a truly professional job would look no further. He does a truly first class work and leave you feeling totally secure in your home. Thank you Nigel, top job. Polite, friendly service. Highly appreciated and recommended! Nigel is a true professional and very highly skilled, he has transformed the security of our period house with perfectly matching locks and exceptional attention to detail. He was extremely tidy, punctual and organised – we are very pleased with his work and there is no other person we would look to for organising our security in the future. Just wanted to say how pleased we are with the service you gave us from the quality of your website to the friendly voice at the end of the phone. Nigel got to us as promised and was a consummate professional and really pleasant bloke. In these days of instant qualifications and not much experience it was reassuring to be speaking to someone with bags of both. Top work, done quickly to a high standard at a good price. We will use Clubb again without hesitation. Nigel Clubb was very professional and friendly. He came out to help us only one hour after we phoned him and we had our door open and fixed within half an hour. I would definitely recommend his locksmith service. 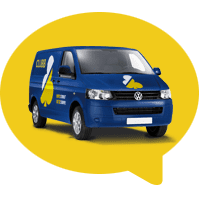 I have used Clubb Security on a number of occasions now and I am always impressed with Nigel’s knowledge and professionalism and with his calm and courteous approach. He gets the job done quickly and to a high standard with the minimum of fuss. Highly recommended. Could not recommend Clubb Security enough. Punctual, efficient, friendly polite and went above and beyond what I hoped would be fixed, genuine care and pride taken in Nigels work which is so reassuring. Thank you very much Nigel Ill recommend Clubb to anyone I know. After being seen by an inexperienced locksmith who couldn’t fix our door, we called Nigel, who arrived within very short notice and corrected the fault with our door. He was polite, uniformed and very professional with his workmanship. I would recommend him to anyone looking for a genuine locksmith. I telephoned Clubb Security after finding them via Which Trusted Trader email sent to me a few weeks ago. They took my details in a friendly professional manner and arranged a date/time for Nigel to visit and assess the work. We received a phone call prior to his arrival to say he would be early and was that ok? We were very impressed. Nigel gave us full details of product to use and we chose for our price range, no tough sell! Again, very impressed he gave us a choice. His work was thorough, professional, friendly and we would highly recommend him to anyone. Thanks Clubb! Excellent service. I would highly recommend this locksmith. He arrived on time, carried out the work to a high, professional standard. He was friendly and happy for me to get back to him if we had any problems. Great job. Excellent quick, fair & efficient service. Many thanks for fixing the bathroom door lock so quickly. I’ll look forward to using your services again. BTW, the tenant said that you were ‘fantastic’ which, as a landlord, is always a relief. We rang Nigel at lunchtime and by 7pm the same night two new locks had been fitted and our house was safe and secure. thanks very much. Richard and Donna Thomas. Southborough. I contacted Clubb Security at lunchtime and as promised arrived early evening. Replaced the cylinder of our existing lock and added a new deadlock for additional security. A very professional and tidy job. Nigel came over to correct problems created by an inexperienced locksmith who left me with a back door that didn’t lock properly. He was extremely professional, cheery and tidy. I wouldn’t hesitate to recommend him and know that if ever I am in need of a locksmith in the future, Clubb security will be my first port of call. Thank you!! Nigel from Clubb Security cames as quickly as he could to unlock my door, and was absolutely brilliant! Would recommend to everyone. Highly efficient from first enquiry to fitting. Knowledgeable trader, reliable and would have no hesitation in recommending or using this company again. Highly professional, very pleasant and excellent advice. The work was completed quickly and tidily with every aspect fully explained and the pricing was very fair. Would definitely use again. As usual, I called Nigel in a panic and as usual, he arrived promptly and cheerful as ever, and swiftly resolved the issue. What I really like is that when we call, he often offers a possible solution to try before visiting. Top man! Nigel has provided incredible service & support. I am so grateful for such efficiency & knowledge. I would not hesitate to recommend him to anyone seeking a genuine, reliable & highly skilled locksmith. A delight to deal with! Thank you. Called Club Security this afternoon and by 8.15pm new locks were installed and working. Very courteous and professional and gave advice too. Wouldn’t hesitate to recommend Club Security and would definitely use them again. Would definitely recommend Nigel to anyone needing locksmith services. Very professional, prompt and friendly. Always a reliable service (and we’ve used his services 3 times now). INCREDIBLE SERVICE!! I am so thankful to have been put in touch with Nigel and Liz for additional security needs. They could not have been more efficient, helpful and genuine. The work was completed to a great standard, very quickly. I would absolutely recommend them to anyone in need of a good, knowledgeable and reliable locksmith. THANK YOU!!! Nigel came to my home quickly to find out why my lock was not working. He ordered a new part & was back fitting it within a couple of days. He was friendly & courteous and reasonable (price). I have no problem in recommending him. A great find. Nigel came within an hour of my call. He dealt with my broken door lock quickly and efficiently. His experience and knowledge were clearly evident but shown in a modest and traditional manner. I am extremely pleased with the result and would not hesitate to recommend him highly. Clubb Security provide an excellent service. They are prompt, reliable and friendly. I would definitely recommend them. Highly recommended. Nigel is clearly expert at what he does and very friendly with it. Listened to what we wanted and helped us get exactly that. Great support after install – including a coming back at short notice to update and extend the alarm as we figured out how we’d use it. Mr. Clubb is extremely reliable and efficient. No job is too difficult, a super locksmith. Clubb Security were recommended to us by a friend. We have called them several times over the past year and we have always been extremely satisfied with their prompt, efficient service and pleasant approach. Great , prompt , friendly and reliable service always. Absolutely fantastic products and service. Nigel very patiently talked me through all the details of the new set -up as well as some very useful tips and honest opinions on servicing etc. Efficient, tidy fast & polite, would most definitely use again. Cannot fault the service. Arrived within 30 minutes, rectified both door locks within 10 minutes. Extremely obliging, honest and very highly recommended. Would not hesitate to use again or recommend. Incidentally, returning for another job, hopefully next week, parts permitting. Used Clubb for a home safe. Very happy with the work. Installed a safe. No complaints at all. Fabulous and professional service! I have a broken lock on PVC door. He came within 30 mins as promised and fixed on site in 30 mins!! The engineer was precise, clear and offered me the cheapest option. He didn’t even want a cup of tea, just fixed my door and explained how it broke initially. Excellent!!! We have been using Nigel at our school for a number of years, and I thoroughly recommend him to you should you need services of this nature. Always prompt, always professional, always reliable, and reasonably priced too – if only all trade persons followed his example! A combination lock on a new luggage case could not be opened and we needed prompt service. We certainly received great service and we are most grateful for the manner in which our initial call was handled and the attention given to what was a small problem but which for us was a major issue. Excellent service. Very thorough and patient. I thought I only needed a new cylinder but Nigel spent 1.5hrs in the rain fixing seized up locks in a porch door to make sure it was lockable again. Would recommend! Having had a difficult incident with a quite old Ingersoll lock I needed some positive advice and instruction on its future use. This was provided very understandably by Clubb Security, and without any pressure to re-new our security sytems. I would certainly return if I needed further security assistance. Nigel Clubb was exceptionally professional, considerate and timely as well as friendly. I have accessed his services 3 times & recommend him thoroughly. Great to see Nigel again today… He provides a reliable friendly service and most importantly is a trustworthy guy to have in your home. I’d highly recommend!! Nigel has been my locksmith for 7 years. He is a star and I would highly recommend him to anyone for locks, alarms or general security advice. Clubb Security are always very quick to come out and sort out problems and the work is clean and efficient and reasonably priced. Nigel has been our locksmith for 12 years and is also an extremely reliable and helpful keyholder for our burglar alarm. He has always been really helpful, reliable and courteous, providing an excellent service. Nothing seems too much trouble, even sorting out false alarms really promptly at odd times when we are not around. Highly recommended. Mr Clubb gave excellent service and generous time to our worn mortice deadlock problem. I cannot recommend him too highly. Nigel arrived to quote me for fitting locks to three internal doors and fixing the garage door handle. Five minutes later, I was happy with the reasonable quote and he started immediately as he had everything I needed in the van. Just over an hour later all done and tidy. Fab job, thanks! We are thrilled with the service we have received from Nigel at Clubb Security. He is prompt to come out and deal with any problems, nothing is too much trouble and he is extremely experienced and competent. We would definitely recommend him to anyone needing a locksmith. Unbelievable!! Truly thoughtful, speedy, cheerful and efficient service. Very pleased-a real find! Nigel was introduced at my workplace where he is constantly being asked to return. Nothing is too much trouble and the service he provides cannot be faulted. I highly recommend his company, you can’t beat this kind of service. After losing my only key to my exterior window/garden store. I contacted the company who installed it and two other key replacement key companies with no joy, I then phoned the friendly team at Clubb who arrived later as agreed. Problem was fixed within minutes and replacement key provided. Top service, very friendly. BIG thumbs up from me. Thanks for a fantastic job with our new door locks, I can’t believe the cost compared to my previous quote, I’m so glad I found you. 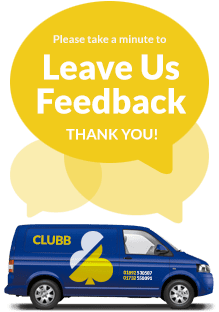 Clubb Security are a friendly and trustworthy locksmith company – I thoroughly recommend them for their professionalism and experience in their business – definite 5 Stars from me! Prompt and professional response to our initial call. All work quoted up-front and then completed on-time and to an excellent standard. Very professional and efficient. I highly recommend them. This is the second time Nigel has attended to a door lock problem for me. The first time he managed to repair the lock, which lasted for several more years but, despite his best efforts, this time the lock was broken! Today my new Yale lock was fitted without any issues. Nigel’s attention to detail is superb. Not satisfied with leaving the gaps where the old lock had been removed, he infilled with strips of wood to cover the area to leave it looking extremely neat, hardly noticing the repair! Following a quick clean up, he then cut extra keys for me, two are never enough! Would thoroughly recommend him should you require a locksmith – I wouldn’t use anyone else. Need a Locksmith from Tunbridge Wells Urgently? Call for a FREE QUOTE on 01892 530 587 or e-mail our emergency locksmith Tunbridge wells. You will speak to a knowledgeable member of our team in Tunbridge Wells, NOT a call centre. 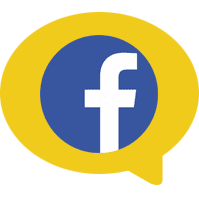 Please take a moment to also review us on Google and Facebook too. Thank you!